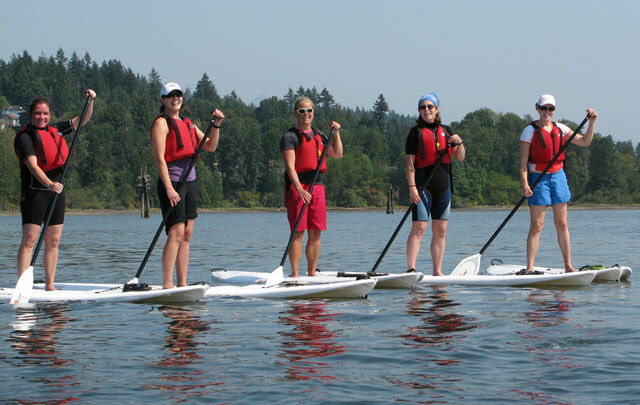 Join WPWA for Two More GREAT Paddle Programs! This year's guided Bioluminescent Paddles on Ninigret Pond have been a ton of fun and featured a lot of Oooooo's and Ahhhhh's as we watched the glowing jellyfish swirl off our paddles. The breathtaking views of Ninigret Pond, the moon, and the nighttime wildlife have been equally enchanting. We are excited to bring you the third bioluminescent paddle this Friday night from 7:30 to 10:00pm. Directions to the Charlestown, RI meeting location will be emailed to you following your online registration. WPWA will provide everyone with a single person kayak, life jacket and paddle at no extra cost. $40 per person for WPWA Dragonfly and Trout members. Non-members $65 per person, which includes a basic WPWA Dragonfly Membership at a savings of $10. If you are a WPWA Otter, Osprey, or Eagle Member, the program is free and you will not be asked for payment when you register online. Go to www.wpwa.org/events.php for more information and to register. Paddleboards, paddles, and lifejackets will be provided. This program is limited to six participants and launches from WPWA's Campus.